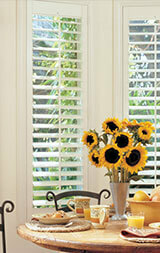 Hunter Douglas’ collection of interior shutters feature long-lasting finishes and exceptional craftsmanship. 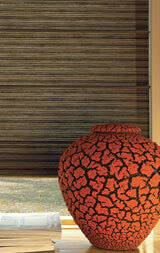 Hunter Douglas shades provide a beautiful finishing touch for virtually any window. Local companies offer more hands-on, personalized customer service, providing you with attention to detail necessary to create the best design in your home. We bring this concept to all of our out-of-state customers too. 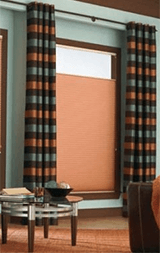 Pioneer Window Fashions is owned by Nancy Brunell. Nancy is part of a fourth-generation family with experience owning small businesses since 1957. Her house was once featured on Better Homes and Gardens’ cover. We know our products. We know they’re high quality and that they last. Our offerings allow for many design styles and choices. Products are selected with the needs and tastes of the community in mind. When first entering the store you are greeted by Nancy a friendly & helpful person who is not pushy at all. She was so happy to show me around their displays of window coverings and they have a great selection of well known brands. If you are looking for a store with that home town feel and great customer service this is the place. My husband and I recently stopped in at Pioneer Window Fashions to look for wallpaper. We were greeted right away and brought to look through several sample books. Nancy, the proprietor, spent a long time helping us find what we had in mind. She was very knowledgeable and patient. We were very pleased with both the service and prompt arrival of the paper. 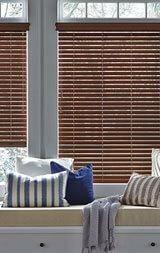 I have had the pleasure of using the products and services provided by Pioneer Window Fashions on two occasions. Nancy came to my office and our home to offer suggestions and make recommendations for the perfect window treatments. The finished product was delivered promptly and installed accurately by her service man. Best of all, my wife LOVES her new blinds. A recent renovation led me to Pioneer Window Fashions and I am so grateful it did! From wallpaper to fabric choices, Nancy was the best! She took the time to understand my wants and style, and guided me toward the right patterns and colors. With her help, I found the perfect wallpaper for my dining room and I Love it!!!. She inspired the designer in me by sharing samples I might not have picked. One of my new favorites, Classic animal prints! Thank You Nancy! Hunter Douglas blinds set the gold standard of quality — offering maximum view-through when opened, and optimal privacy when closed. stylish design, energy efficiency, sun protection – including room darkening fabrics – and privacy. Interior shutters are available in premium hardwood and poly-satin, faux wood compounds, featuring long-lasting finishes and exceptional craftsmanship. Draperies and valances are the perfect finishing touch for your home or office. Design the perfect soft window solution in a variety of styles, fabrics, textures and colors. Get a FREE Hunter Douglas idea book!